Airport Group to construct the International Fitout over four levels at the Canberra International Airport. The 4800 square meters of space has areas for a Departure Lounge, Arrivals Hall, Bar facilities, Duty Free Shop, Baggage Handling Facilities, Check In Counters, Inbound and Outbound Passport Control and Border Agencies Offices and Inspection Areas. Given the nature of the Aviation Industry only minimal planning and design could be carried out until an airline committed to international flights. This gave the team seven months to design and construct this complex and high quality facility. The sequencing of the works was challenging due to materials coming from overseas and the amount of pre finished ceiling, wall panels and joinery that had to be produced. This necessitated the site running 24 hours, seven days a week for 12 weeks to meet the end date. The success of the project can largely be attributed to the cooperation and dedication of our client, the government agencies, Construction Controls site staff and our subcontractors and suppliers. 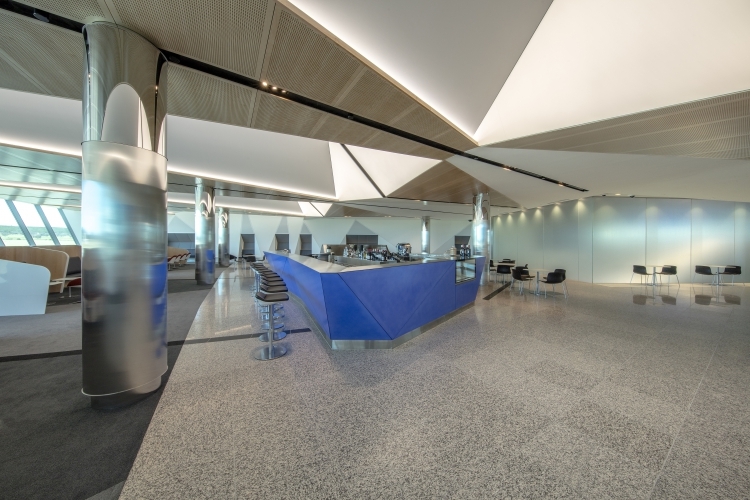 Construction Control were contracted by Capital Airport Group to construct the International Fitout over four levels at the Canberra International Airport. The 4800 square meters of space has areas for a Departure Lounge, Arrivals Hall, Bar facilities, Duty Free Shop, Baggage Handling Facilities, Check In Counters, Inbound and Outbound Passport Control and Border Agencies Offices and Inspection Areas. Given the nature of the Aviation Industry only minimal planning and design could be carried out until an airline committed to international flights. This gave the team seven months to design and construct this complex and high quality facility. The sequencing of the works was challenging due to materials coming from overseas and the amount of pre finished ceiling, wall panels and joinery that had to be produced. This necessitated the site running 24 hours, seven days a week for 12 weeks to meet the end date. The success of the project can largely be attributed to the cooperation and dedication of our client, the government agencies, Construction Controls site staff and our subcontractors and suppliers.